Beer Pong tables are said to have originated on the ping pong table. We've played on a Ping Pong table, coffee table, dining room table, pool table, and of course the piece of plywood table. While these are all suitable Beer Pong courts, nothing can match a sleek 8 foot table the folds up, has cup holders and/or ball sleeves and LED lights. I promise, these tables below are the missing piece in your game room, man cave or garage bar. For rules, terminology, and technique variations, check out our Beer Pong Rules and Play post. This table is portable, stylish, and regulation size. The underside provides a foam insert for storing up to six Beer Pong balls(included) with ease and convenience. When folded, it converts to a 2' by 2' suitcase to take wherever you like - amazing! The table comes with balls, has stunning hi-res graphics and allows you to upgrade to LED glow lights. GoPong has been a leader in Beer Pong for years now, and this sophisticated black/white table sinks all the cups and wins a spot on our top 5. This Premium table is about 8" taller than your standard table, allowing for a more comfortable playing experience. The set folds in two, rather than four, thus limiting the number of seams in your table. and maybe best of all, the waterproof MDF design will have this table lasting you a long long time. This table is a whole lot of able. Portable, foldable, adjustable, stable and playable. Complete with 6 balls and sweet melamine coated wood grain playing surface, this set is great for indoor and outdoor play. I would proudly bring this table to any tailgate, cookout, Sunday fun-day, and/or house party. When compacted, the table is only 24" x 24" x 5.3"
Whoa! This is a tricked out, party Beer Pong table. It comes with 4 dry-erase markers to customize your tale time and time again. Display the house rules right there on the table or keep a running tab of wins and losses. The perimeter of the table has color changing LED lights that you may control the tempo, color, brightness and modes of. Couple with a few glow in the dark Beer Pong Balls, and the game is on! Great looking, lightweight table with ball rack, stainless steel bottle cap opener and 6 Beer Pong Balls. I love the logo in the middle, i think it brings a sense of sportsmanship and elegance to the game. The table folds down to a 2' x 2' briefcase with carrying handles and of course the table itself is of the preferred 8' x 2' dimensions when upright. The table top is easy to clean and the set comes ready to play. Beer Pong Balls and ping pong balls can be be used interchangeably for the most part. The balls we'll feature below are ranked by cost effectiveness, design/style, and personal experiences with each brand or type of Beer Pong ball. The last thing you want are the hard plastic, toy-like balls. You want a good bounce off the table and cups as well as a standard sized and weighted ball to ensure a consistent level of play each time. Simple, 3 Star balls from Kevenz. Like most we'll feature here these balls are in the 40mm diameter range and weigh about 2.7 grams. The classic white color is our preferred hue of Beer Pong Balls; it just feels right to play with a white ball. These are inexpensive and a fine addition to your beer pong games. 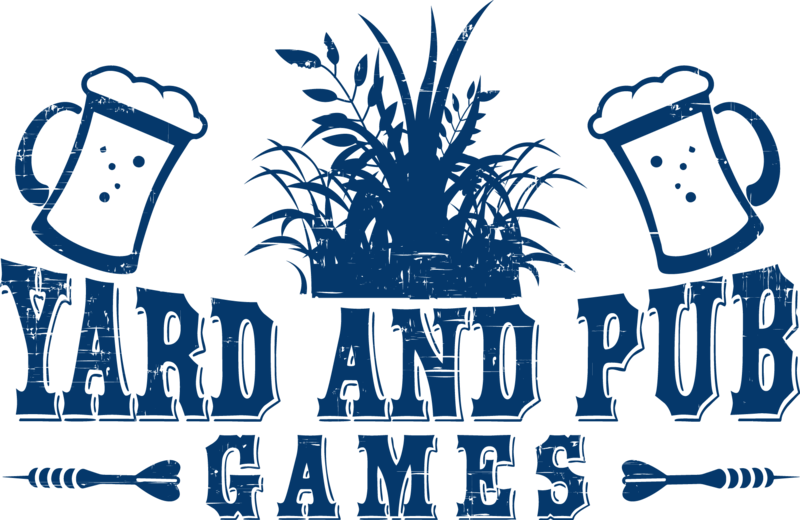 This brand consistently has great online reviews, and we here at Yard & Pub Games have nothing but good things to say about them except KERPLUNK! Yes, you do need 50 ping pong/beer pong balls, and yes bright orange is a cool color to play with. These 3 Star balls have great bounce, are of standard weight and size, and ship quickly. Any game of Beer Pong would love these balls in the cups. At 50 per pack, why even worry about a water cup to rinse the balls off, just grab a new one! 36 logo Beer Pong Balls. These little bad boys will show your opponents and teammates that at your table, the sport is to be taken seriously. You either GoPong or you go home. The balls are of one piece construction and have the proper 44mm diameter. Your purchase is 100% guaranteed by GoPong, so there's no risk. When paired with the GoPong black and white table above, you've already won because you've got an awesome Beer Pong setup. Another quality 3 Star ball from Kevenz that come in packs of 50! These two-toned white and yellow Beer Pong Balls are just lovely. They possess all the same great characteristics as the #1 ranked ball, just in a neat half and half color scheme. For something a little different than the norm, try the multi-colored balls. I think the color line makes a great aiming tool when throwing at the Beer Pong Cups. Beer Pong matches are usually full of distractions, celebrations, trash talking and a mess. We have found several items that add to the great sport of Beer Pong. These variations to the sport add a ton of fun to an already great game. Hexcup - what a great idea! The rims of the cup are hexagonal and together form a gap-less Beer Pong triangle. This set includes 22 cups and 3 Beer Bong Balls. The red ball is unique to these cups and with a rule variation is the "Game-changer" ball. The cup bottoms are designed to prevent the cups ghosting around on the table. Hexcup had a great run on Kickstarter and playing with these cups bring Beer Pong to another level. Pong on Fire 2.0 incorporates aspects of Capture the Flag" into the game of Beer Pong using beer-proof cup inserts. This set includes 50 circular cards that add more elements of skill, strategy, and trick shots to the sport. This is great for a group of friends that play regularly and are looking to mix it up a little bit. The few times I've played Pong On Fire it was a great time. Why wouldn't you want a floating Beer Pong Game? This cool idea comes with three balls, two inflatable pong triangles and 6 cup holders per triangle. When not in use, the set deflates and fits almost anywhere - great for taking with you to the neighbors pool! I've found that you don't even need water. These ultra-portable Beer Pong islands can be placed anywhere in the house or yard for a quick game of Beer Pong. Great gift idea!